Expand your knowledge of European studies through the conference cycles at IEE-ULB. Discover, among others, the Legal Tuesday seminars and our “European Law Tasters”. 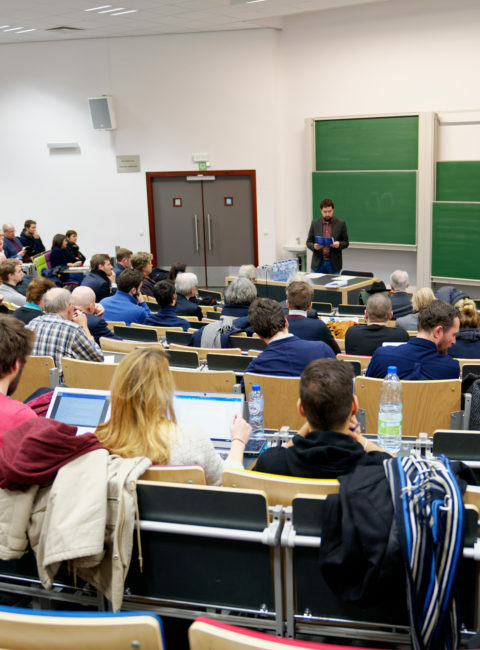 IEE-ULB organises conferences and other meetings around European studies. Open to the general public, these events are led by experts. They also provide networking opportunities. This conference cycle proposes seminars that scrutinise various aspects of European Commission policy in the field of competition law, led by high quality professionals from the European institutions and the most important law firms specialised in this area. For over 30 years, the IEE-ULB has been organising a retraining programme on Community law for anyone with an interest in issues relating to the development of the ‘acquis communautaire’. Originally organised by Professor Michel Waelbroeck and now by Professors Jean-François Bellis and Denis Waelbroeck, European Competition Law Tuesdays are a forum for discussion around the interventions of different experts. Take a look at the programme and practical information, including the registration form. European Law Tasters is a series of conferences initiated by jurists at the IEE-ULB in 2009 to confront current European research in legal matters with the positions of the professional world and those of civil society. The format consists on early evening (from 6:00 pm to 8:00 pm), periodical conferences where two speakers present their points of view on a specific topic of EU law. After the lectures, the second hours is dedicated to a debate, to allow extensive exchanges with the audience, under the coordination of a moderator. Finally, conversations can continue informally during the cocktail that follows. The target audience for these conferences are both the academic and professional communities as well as citizens interested in European issues. Contact Françoise Vanden Broeck at the Student Administration Office for more information and to register for our mailing list. The Wallonie-Bruxelles delegation in Bucarest and the Institut français in Romania organise, in partnership with the Romanian Ministry of Foreign Affairs, thematic seminars in French for Romanian civil servants. Academics from the IEE-ULB provide the trainings. Professor Ramona Coman is in charge of the organisation. Each year, our Institute hosts more than 60 events under the IEE-ULB name. Find out more on our events page. To complete your training, why not also take a look at our range of summer courses.